Time flies when you're having fun, or so we're always told. 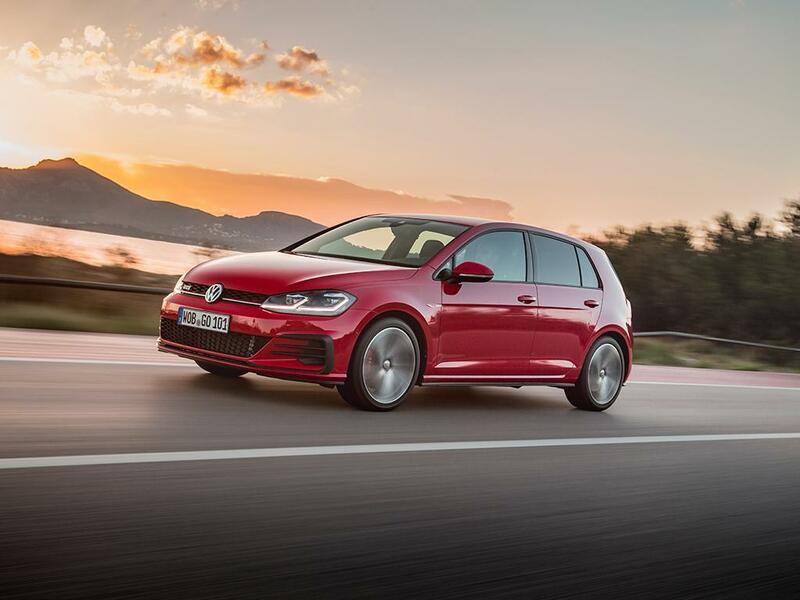 For fast VW Golfs it means that nearly four years have passed, along with the 300hp flagship, a 40th birthday present and a Nurburgring record breaker, since a 'regular' GTI has appeared in a PH review. That was back towards the end of 2013, when the then-new Mk7 Golf GTI squared up to the M135i (remember that?) and the original Mercedes A45 AMG. 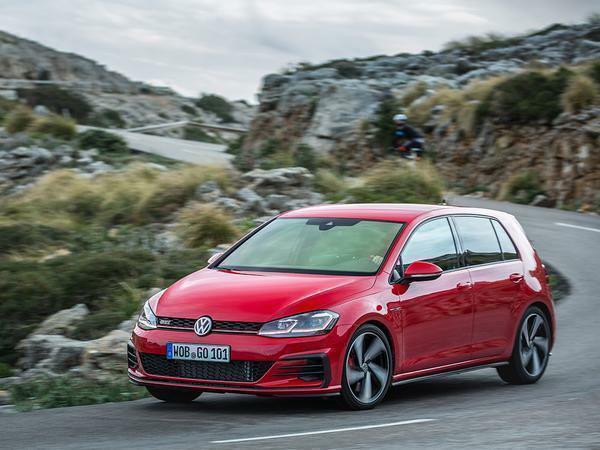 Crucially for the sake of this story it was a GTI Performance version too, adding the larger brake discs, red calipers, 10 additional horsepower and the VAQ system that aims to mimic the effect of an LSD. Very good it was too. Now that the standard GTI has been replaced so the Performance pack has too, which is the car you see here. Still a smart looking car, isn't it? The 'Mk7.5' is hardly a transformative facelift - you expected one? 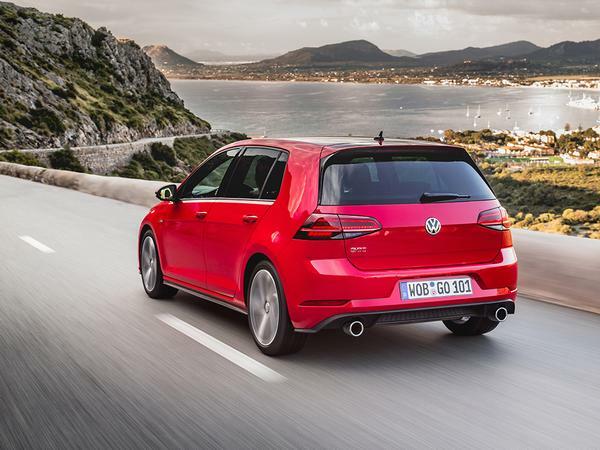 - but it's done enough in enhancing the Golf's look to make it appear fresh. With the usual GTI embellishments it's distinctive enough for those in the know to spot but still restrained and subdued in that traditional Golf way. If it ain't broke and so on. 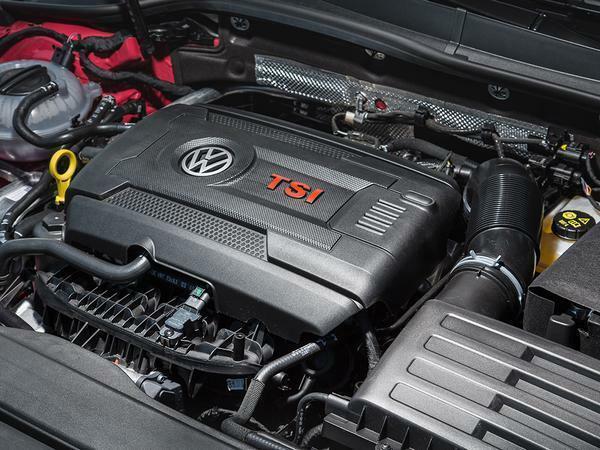 The key mechanical change is in liberating another 15hp from the 2.0-litre EA888 turbo for the GTI Performance, taking the total to 245hp (it's up 10hp as standard, to 230hp). However, given this engine has now been offered in the MQB cars with 220, 230, 245, 265, 280, 290, 300 and 310hp (please shout if there are more), it's becoming very difficult to detect any discernible differences. Perhaps this car is a fraction stronger through its mid range (torque is up 15lb ft) and a mite more willing at the top end, but if you had said this still had 230hp it would be eminently believable. Otherwise the Performance add-ons are the same, with the brakes and VAQ the notable inclusions. What a pleasure it is to drive a hot hatchback with a manual gearbox and front-wheel drive. Yes, it's an old formula now. Yes, four-wheel drive would make it quicker 'whatever the weather'. And yes, a DSG would make it faster still. That it remains such a satisfying combination though hopefully means there's still life in it yet. The pedals are well placed, the golf ball gear topper a joy to hold and the throw precise and quick, if a little light. The appeal of changing gears for yourself means you do it for fun, aided in this case by a good gearbox and that engine, which is willing both to draw on its mid-range reserves and be held at higher revs. 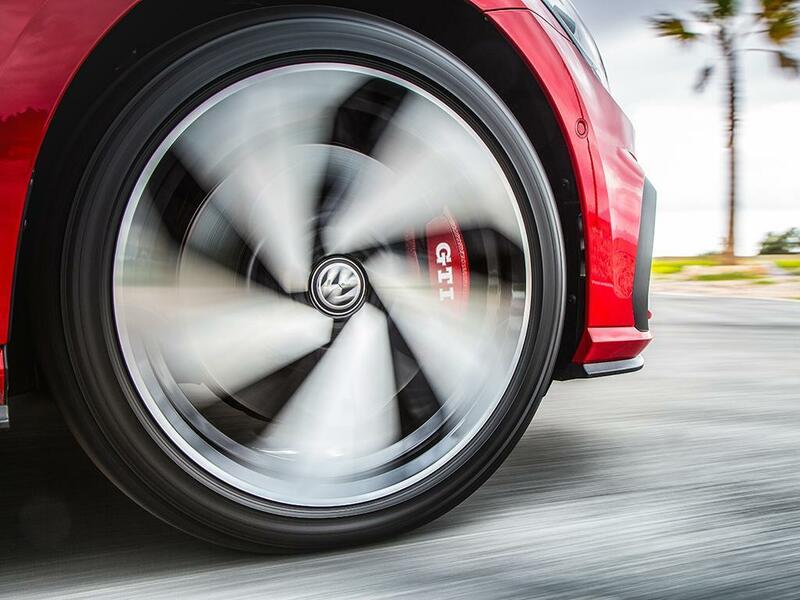 In fact that behaviour is indicative of the GTI's general demeanour - it just suits, everywhere. It's entirely happy to pootle around town or mooch down the motorway, yet equally adept when driven with what journalists might once have called gusto. In fact it's really good fun when you're haring around like you're playing GTI Club in a Mk1 (an arcade game well worth experiencing). It's poised and balanced but also responsive to your inputs, tightening its line obediently with a lifted throttle or trailed brake. Perhaps the ESC Sport threshold is a little strict, but then this is still a VW. The ride is always super composed too, the adaptive dampers' breadth of ability making them feel like an option box worth ticking. 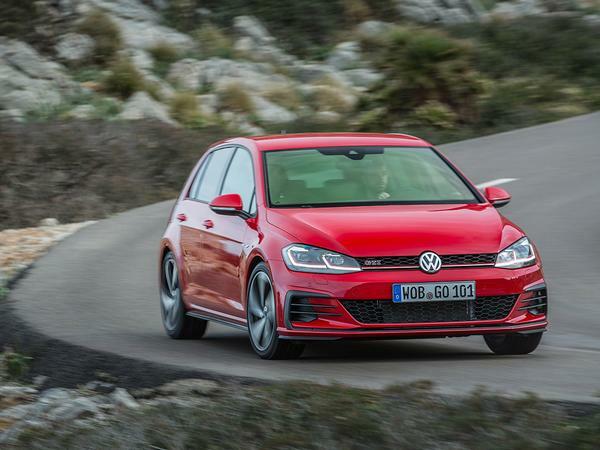 While a Golf GTI has never been a balls-out hot hatch, it would have been nice to see this latest car incorporate a little more of what made the Clubsport S so satisfying. Perhaps there was deemed little need, the CS appealing to a group of enthusiasts who would never consider a standard car and buyers of the latter content with the range of talents already offered. 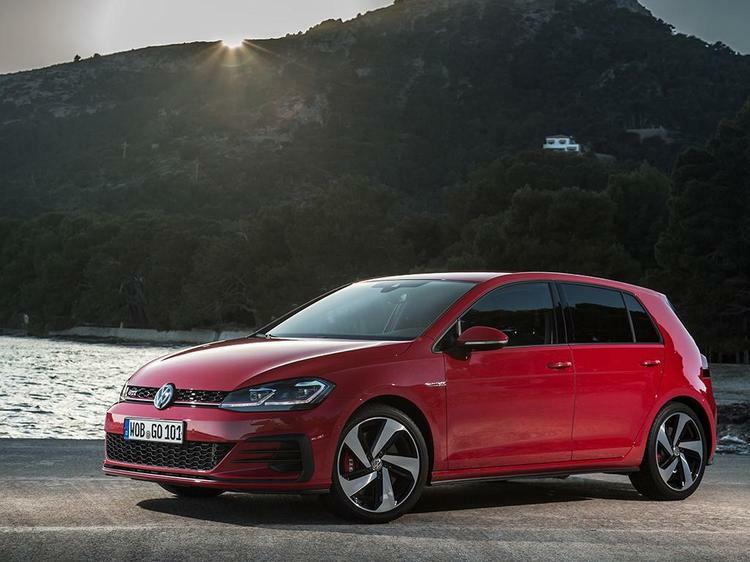 That VW focused on the improved equipment, efficiency and connectivity of this latest Golf facelift should tell you much about the verdict of this GTI against the last. It's been moved on in certain areas without ever feeling markedly different. Arguably it didn't need to be. 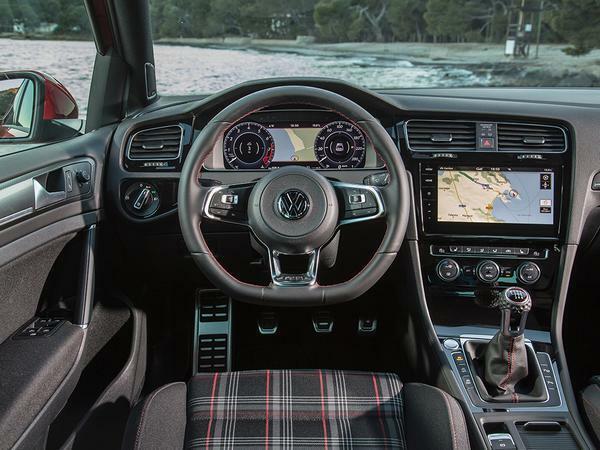 The interior is a particular improvement though, with lovely new displays, an improved touchscreen nav and another step up in perceived material quality. 'Really, really nice' is probably damning it with faint praise - hopefully you get the gist. Plus the fact VW knows, and you know, that impressions on the inside count as much - if not more than - driving satisfaction. 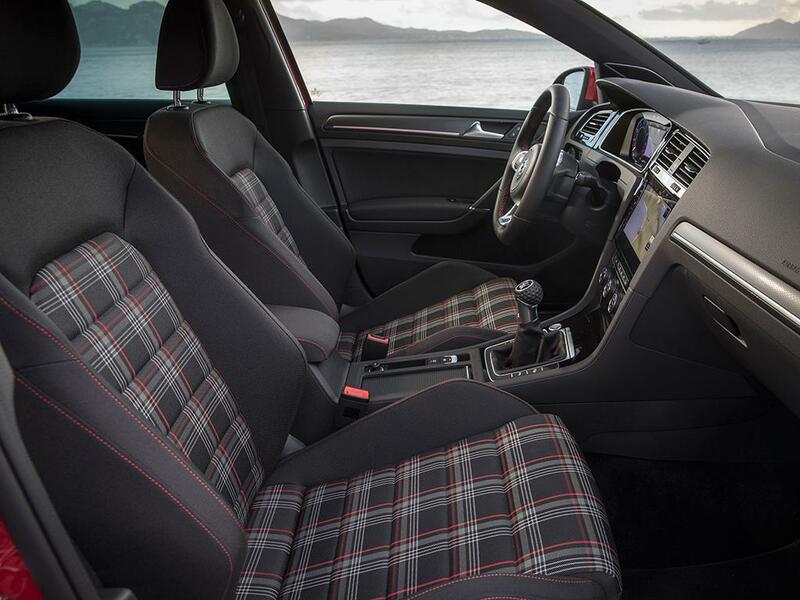 Where would you rather sit: a Golf or a Focus ST? There's a temptation to call this update complacent from VW, that it's an arrogantly modest refresh of a car that didn't need it. That would be wrong though; it feels sufficiently enhanced and improved to feel like a new car, even if those significant tweaks are inside. To drive it's still very good too, particularly with the Performance pack fitted - certainly if it stays as the c. £1,000 option it was before, then it will be well worth having. 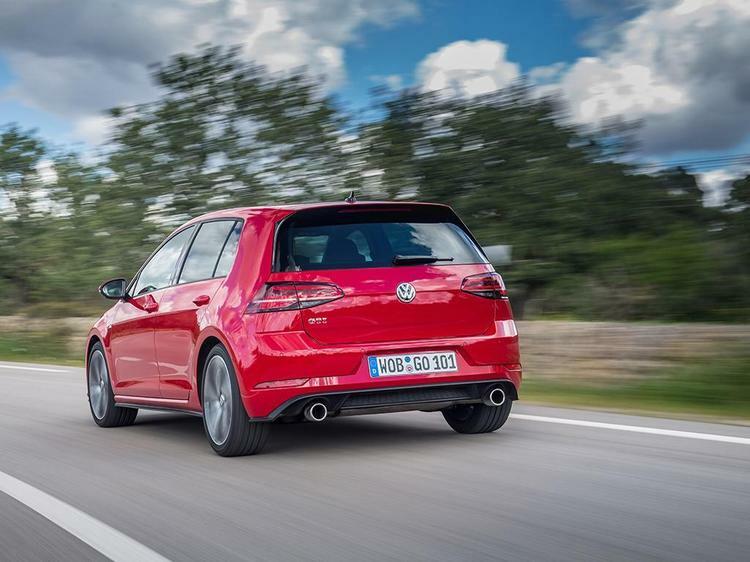 So while there may be more exciting hot hatches around, and certainly cheaper ones, it's a struggle to think of any with such a broad and appealing range of talents. 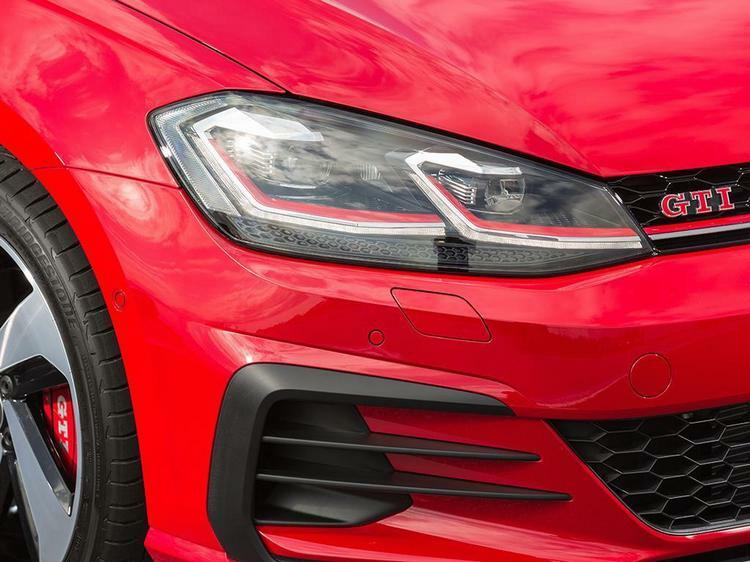 It will surprise precisely nobody, but the GTI remains a great car. The price would make my decision as there really aren't any bad hot hatches out there, for me the GTI has always been a bit to much for what it is but it's a decent car now the Meganes gone I'd probably take the ST but this ticks a lot of boxes for people, decent drive badge etc & probably good lease/pcp deals. If only vw would build the bloody thing. I've got one on order. Well when I say order the dealer is holding my £1,000 against one of its allocation. Come on VW get the production line rolling. Discounts of around £4k are already readily available on the 7.5 Golf GTi so in essence not really bad vfm. I would like to see the lease deals versus the R. You see a lot of Rs around and GTIs are not as plentiful as they were once before. Makes me tend to think the R has become a no brainer financially. Let's face it it, the weather in the UK isn't perfect so the R will be the better car for the majority of the time. I've noticed PH seems to have something against the R, whereas all other publications appear to believe its the best thing since sliced bread. Beautiful car on the outside but the interior reminds of a wheat bag.